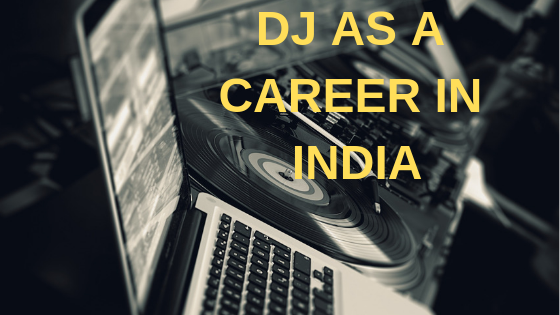 In this article, we will explore DJ as a career in India & how Djing can be a very good career option these days and what are the various jobs and opportunities present today for DJs in India. Djing is a career which is at a boom right now, With India getting exposed to a lot of international brands and festivals. Therefore, it is surely going to be a great career for people looking forward to being a part of the electronic music industry. Therefore, it can be said that DJ as a career in India can be a good choice for people who wish to make a name for themselves as a DJ. As the pub culture is getting on the trends now DJs will also have a lot of job opportunities in the future. We have seen an escalation in the music production as an industry as Indian DJs and Producers are now getting recognition and support on the International level. The day is not far when the top 100 Djs of the world will have a major number of International acts. The student after learning DJing can start working as a resident Dj in a nightclub, Pub, Bar, Cafe or a Hotel. This works like any other job where you have a regular job, Fixed Salary, Holidays and an expense tab. Apart from Being a resident one can also look forward to freelancing and start playing in mobile setups or play a session in clubs as a guest Dj. In freelancing the chances of having better pay, making a good profile and exposure to a new audience and venue are much higher than compared to residency. However its ones personal choice how they want to go ahead in their career. The moment you enter into the entertainment industry you have very bright chances to start your own event management company as after spending a few months in trade you get to learn the management and also get to make relations with various vendors. Because if along with DJing one properly establishes an event brand there are good changes in having a long and promising career in the industry. Many students after gaining experience as a Freelance/Mobile DJ invest to purchase their own Light & Sound inventory. Giving such setups on rental is a huge industry and very profitable business option that has a very high demand these days. The stagecraft industry is a growing and never-ending business especially in a country like India, where every event has grand setups and innovating concepts. Fame is also a very important aspect of a DJs life as this is how you improve your profile and pay scale. Once a DJ is famous then he or she can charge anything what they feel is right for them. Famous DJs get to travel the world, Perform at Various nightclubs and enjoy the stardom. So apart from Djing one has to really work on the other aspects like Marketing, Public Relations, Branding, Making a fan base and Social Media Marketing. One can really make a good and promising career after doing a DJ Course. Though it takes time for a student to really start earning big and do regular shows. After you learn how to DJ the next one year is only dedicated gain as much experience as possible, the good part is you get paid for that also. It’s like an internship you don’t make profits but at least your travel and logistical expenses are paid off. Initially, a student might assist an established DJ or start off by freelancing for small events. It sometimes takes a DJ over 100 gigs to understand the trade, the crowd, and troubleshooting. Only the experience doesn’t count but making a strong and appealing profile is also a very important part of marketing yourself. Skratch provides workshop on the introduction to the music Industry and Music Business by DJ Sushein. It is a must attend for the aspiring DJ’s. It clears up your vision towards the career options you can opt in future. Being a DJ in a nightclub on a permanent playing for them on a daily basis is called residency. Nightclubs pay a monthly salary, employee benefits and almost all protocols of a regular Job to resident DJs. It’s the most stable career option in DJing Industry as it really doesn’t affect you in offseason. There are strict timings and music policies that have to be followed. Many night-clubs promote their resident DJ’s and hence you get to make a certain fan following of yours which can help you later to expand and promote your profile. *All above-mentioned packages depends on the Profile, Music, Clientele, and PR. Doings gig all around and touring is your passion you have to be a freelance DJ. Not as stable as a Resident DJ but one gets to travel around and make a stronger work profile. A lot of efforts and marketing goes behind being a famous freelance DJ but the perks of being one are even better. Freelance DJ’s usually get paid a lot more than the resident DJ (sometimes even more than their monthly salaries) because they get a new vibe and crowd (fans) to a nightclub. A guest DJ usually plays a special set or act which is not witnessed by the crowd every day in a club by a resident DJ. Freelance DJ’s also get to a lot more private and corporate shows as Resident DJ’s are bound to play at their own club regularly. But freelancing is more dependent on event seasons and most of the time get out of work in off season which is never a case with the resident DJ. Season or offseason a resident DJ will get his account credited every month. But once you market yourself right the work will flow throught the year. If you are interested in making DJing your career then feel free to join Skratch DJ Academy. Skratch is awarded the BEST DJ ACADEMY IN NORTH INDIA. But if you wish to enter into events and entertainment industry then visit Skratch Entertainment.